Partial dates of the holiday weeks will also be considered, send me a question if the dates you want are less than my minimum stay for those holiday weeks. Berkshires -part of Jiminy Peak all year-round resort. 1 mile from slope during winter skiing. 20 minutes from all cultural events during summer. 4-level luxury condo with cathedral ceiling, 3+ bedrooms & loft with sleeper, private sauna, fireplace, full kitchen, new outside 24 ft deck with Weber gas grill, New Fire pit and all amenities. Newly renovated modern kitchen and laundry area with all new appliances. Upgraded Whirlpool in master bath. New living room leather couches and chair. Air-conditions in all bedrooms and living room. Desktop computer on premises with Broadband and wireless internet connections. BEDROOMS NOW HAVE 1 KING & 2 QUEEN BEDS. All new carpeting and totally repainted. Clean, Comfortable & Casual. Pets may be permitted only with our prior consent and additional security deposit. Marc & Mimi Berger We own 3 properties but this is our only rental. We live in Long Island and in Florida during the winter We like to do a few weeks here in the summer when not rented We also keep it as a home rather than a rental so it is not over used. We also update it so it never looks dated. We recently repainted re- carpeted and added a fire pit on our deck within the last year plus other enhancements. We care that our guests enjoy themselves and many thank us by recommending others. We original saw this property when we were visiting our daughter at Camp Taconic many years ago and immediately fell in love with this place and Jiminy Peak the resort we are a part of . It's a great place with lots of things to do here as well as within the area We are no more than 20-30 minutes away from the areas best cultural and sightseeing activities. Your are never far from the action of the mountain yet far enough away from the smell of hot dogs and noise of the mountain activities. A peaceful and beautiful setting. Nothing better than to light the fireplace during the cold winters with a drink or during the summers, sit by your personal fire pit roasting marshmallows on the backyard deck. Also with a drink and or smoke. Part of Jiminy Peak complex with Skiing, Alpine slide, Rock climbing, Fishing, Laser shooting, Hot tub, exercise workout room, Miniature golf and much more. Also part of Beaver Pond Complex with separate heated pool, tennis court, Volleyball, Badminton & clubhouse with numerous games including Ping Pong, Pool and much more. Individual units contains a whirlpool and Sauna. 7 ft entertainment center with all amenities Fireplace, new kitchen with coffee maker, espresso machines, Microwave, dishwasher, washer, dryer and much more. 24 ft deck with Weber grill Towels, linens, hair dryer, dishes and silverware included. The apartment is not in nearly as good shape as the photos would suggest. When we arrived, it was not very clean, dirty dishes in the dishwasher, moldy wet towels in the dryer, the hot water didn't work one of the two bathrooms, and the unit was very cold and wouldn't heat up. It was also very cluttered. When I told the owner about the not-so-great experience, he agreed to not charge me a cleaning charge he commonly charges (watch that, he charges a cleaning charge and a credit card fee out of your deposit at the end of the stay), but then he claimed we left a circuit breaker and heat on when we didn't and used that as a convenient excuse to re-charge me the amount of the cleaning fee! Rip off and left a bad taste in my mouth, to add to the not-so-great experience with the unit. Thus has no skin in the game nor any reason to mislead. Also you were the only one that month to have rented so it’s all on you. I have been more than fair with the charge back as I ate the same $200 .In addition Jiminy also charged me for having to lower all the heating as well as turn off the water heater per your required instructions. Regarding the state of the unit upon your arrival, I have no way other than to take your word for the situation which I immediately did. I offered and did not charge you a cleanup fee as we do with all renters which more than makes up for dishes in the dishwasher and wet towels in the washer. All easily fixable. Just run the appliances. You don't even have to touch anything. In the end I still was willing to refund half the disputed monies if you were to send me a letter advising me that all have been resolved and no further complaints or negative reports be filed. You couldn't even be bothered to do that. You said that you e-mailed me that info but nowhere in your e-mail did you say anything about re- framing from stating negative feedback. This back and forth with you seemed to be nothing more than trying to extort monies to pay for your neglect of your responsibilities to shut off the switches and heating which also cost me additional monies. You forget that I still had to pay an equal $200 for the heating as well as an additional $60 to Jiminy to do what you did not do. Would Jiminy charge me the funds if they did not have to do what should have been your job. We had a wonderful time in the Bershires. The condominium was lovely in a very peaceful setting. The owner was very responsive to our emails and always available by phone to help us. We hope to return next year during the fall. I highly recommend it!!! We rented the place with 5 adults and four children and it worked out great. 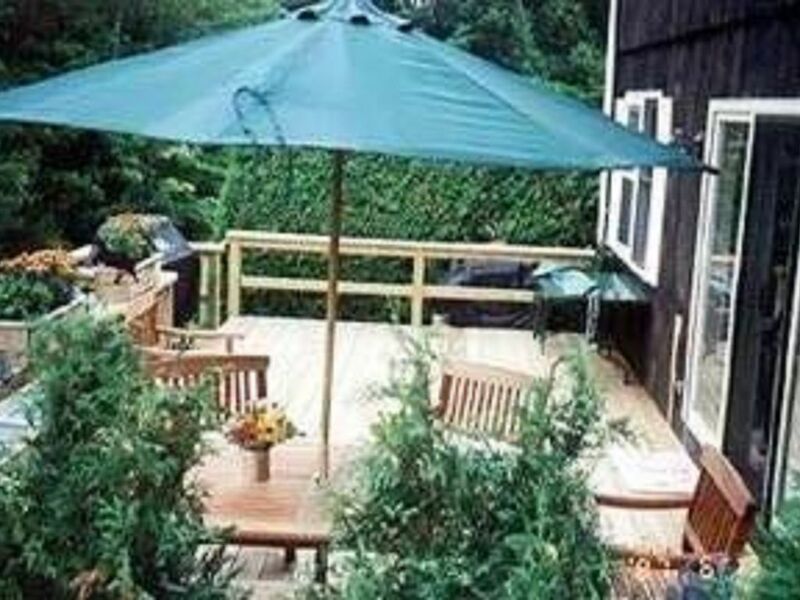 We enjoyed the large deck and grill as well as the nearby pool and tennis court. The owners were very nice and helpful. Everything went well. We rented this charming condo for a month and couldn't have been happier. Pool was great. Location great for most cultural events. The owners were very helpful in getting us settled in. The home was extremely clean. All in all, we would highly recommend this place to anyone looking to rent in the Berkshires. Who said that the Berkshires are only enjoyable in the Winter ? My wife, daughter, Son-in Law and Grandson spent a lovely week there in early June. The condo was spotless and spacious. Sitting on the nice sized deck and facing the country side was indeed a delightful experience. The condo was only about 3 minutes away from the Jiminy Peak clubhouse. Their are activities there for every age group and you won't be disappointed by their restaurants. Also, the beauty of the mountains, surrounding country side and quaint towns speak for themselves. We have already recommended that our family and friends also rent this fantastic condo. My family and I spent some time at this condo and could not have been happier!! The house is so warm and inviting and everything is beyond clean. There is a lot of space and the layout is just perfect. The amenities were very good and everything in the house worked perfectly! The pool is nice and calm and we even were able to play tennis! This could not have been a more perfect place for my family to send some time. Also - the owners were very sweet and incredibly helpful! I would recommend this place to anyone! !